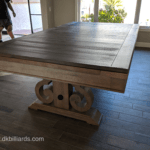 Davenport Rustic Pool Table Dining Conversion delivery in San Juan Capistrano. 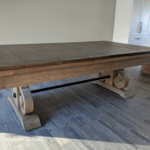 The lights aren’t in yet so we used the junction box above and hanging a plumbob straight down to get the table centered both length and width. 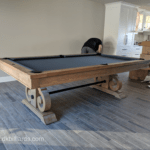 This solid wood, scraped finish pool table with grey undertones looks amazing with Simonis 860 Slate Grey. The carved base, metal pipe stretcher and leather drop pockets have a modern-rustic feel. 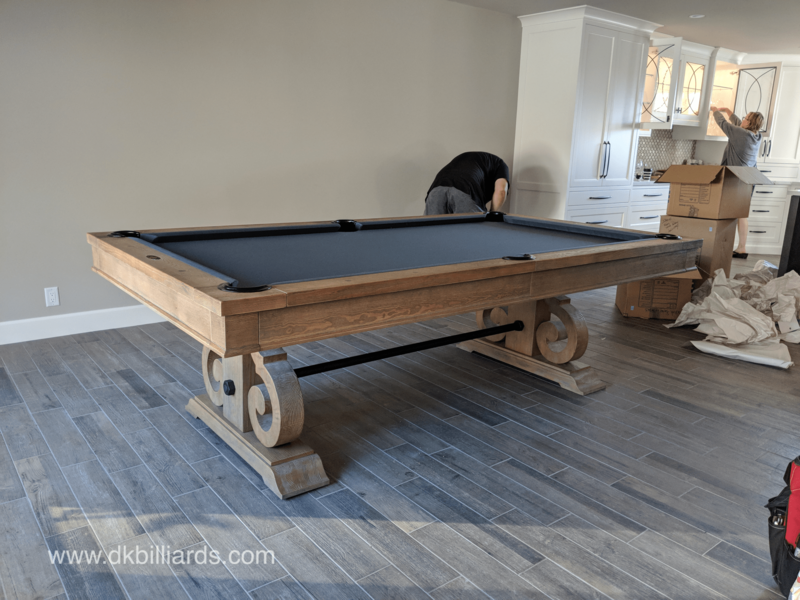 If rustic isn’t calling your name, our billiard tables are available in many styles to suit nearly every budget. that came out great! the grey is really cool.